Launched in Fall/Winter 2015 as the next generation of the most successful family in the Scuderia Ferrari line, Red Rev captures the thrill of race day with a bold honeycomb texture inspired by the layered structure of a race car's monocoque. 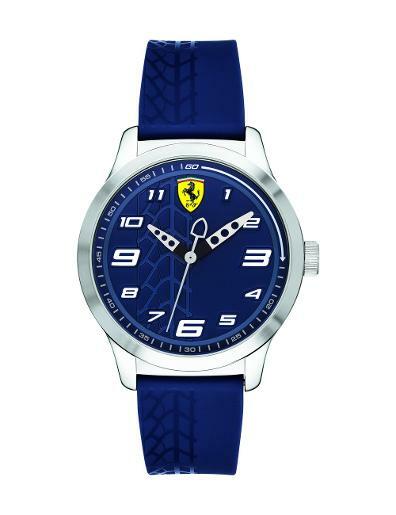 In the launch collection, this new trademark texture defined the dials, sides of the round 44mm and 38mm cases and bi-level silicone straps featuring bright logo detail and grooves inspired by the front grille of a race car. For Spring/Summer 2016, new 3-hand Red Rev designs retain this striking signature honeycomb texture on their matte finish black dials, and continue to keep pace with the trend toward bolder, high-performance watches with a more colorful, flowing ergonomic shape from case to strap. 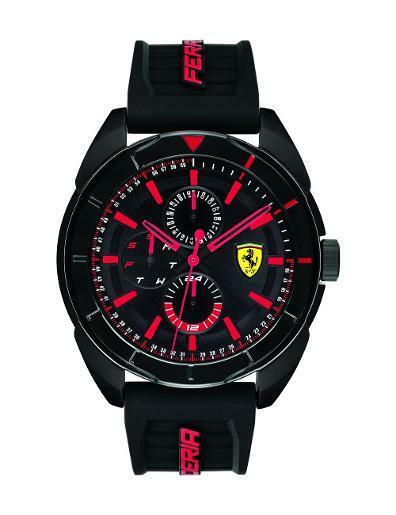 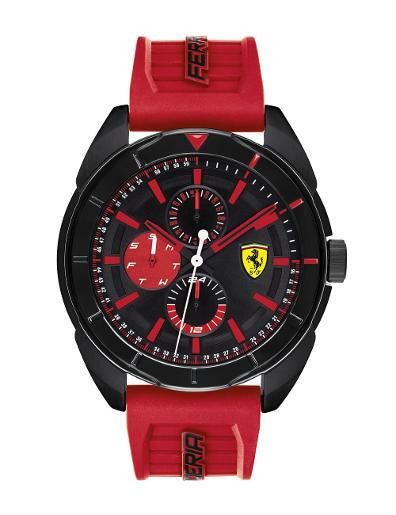 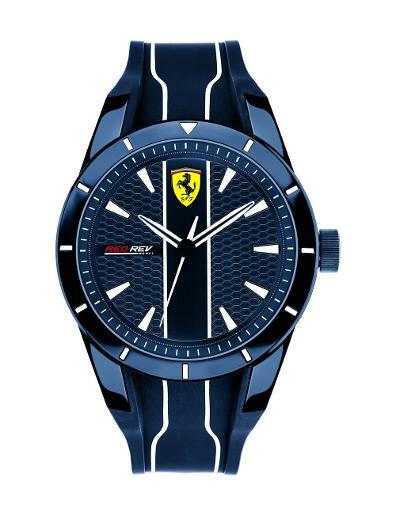 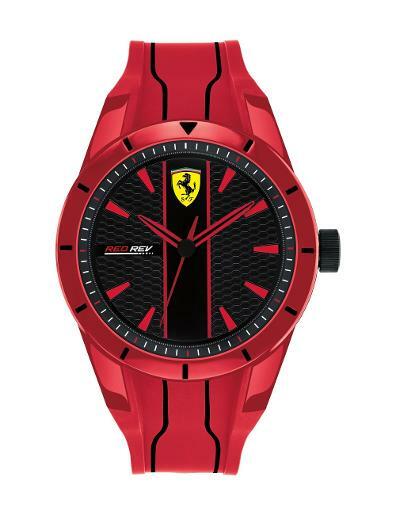 The round 44mm and 38mm cases, crafted this season in a sleek, impact-resistant new thermoplastic material, continue to sport a contrasting polished/matte finish reminiscent of a Ferrari dashboard, and a black ion-plated crown with etched Prancing Horse as a distinctive design signature. The grooves on the integrated black or red silicone strap were inspired by the air intakes on a race car. 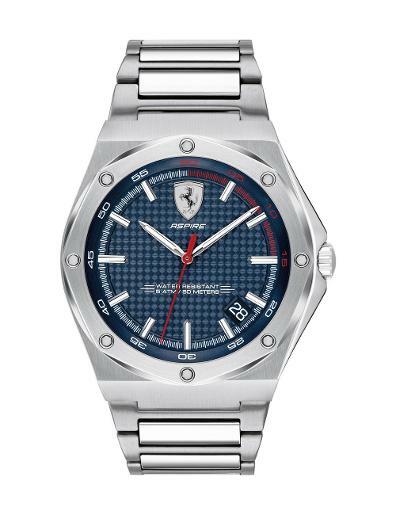 All are secured by a stainless steel classic tongue buckle.